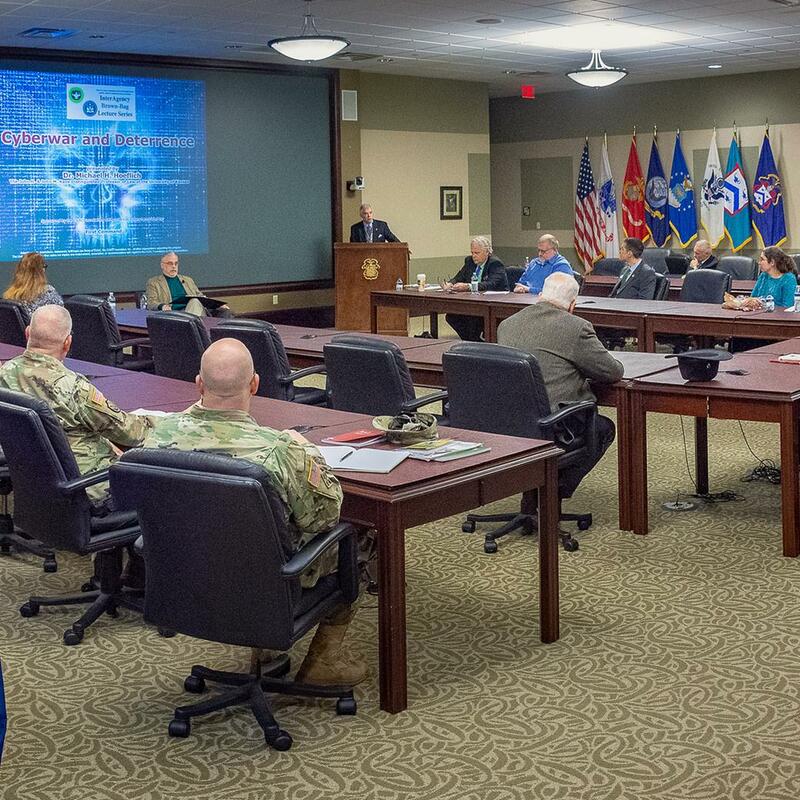 University of Kansas Professor of Law, Dr. Michael Hoeflich led a discussion on deterrence and international law in the cyber domain at the U.S. Army Command and General Staff College on November 14. Dr. Hoeflich’s presentation was part of the InterAgency Brown-Bag Lecture Series for academic year 2019. Hoeflich began his presentation with a brief summary of the cold war, contrasting the threat of nuclear war to current threats faced in the cyber domain. With the rise of non-state and individual bad actors, said Hoeflich, the threat of mutually assured destruction is no longer a deterrent. Instead, there exists a state of “unpeace.” The U.S. is not at war. The threat actors are not easily identifiable and can not be countered by kinetic weapons, but the threat is always there. Hoeflich went on to review two recent cyber strategies produced by the White House and the Department of Defense. 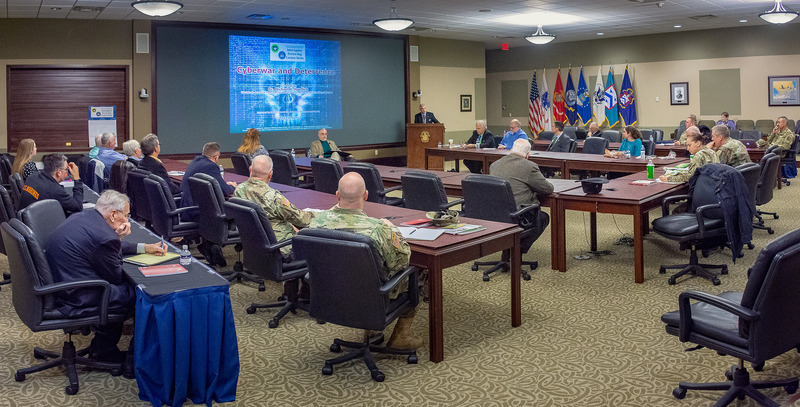 The strategies provide an updated definition of deterrence and outlines the military’s jurisdiction in the cyber domain. However, according to Hoeflich, the strategies focus too heavily on threats from Russia and China, ignoring other state actors (e.g. North Korea and Iran) and non-state actors. The new cyber strategies also fail to clearly define who is responsible for defending entities and institutions outside the defense industrial base from cyber threats. Dr. Michael H. Hoeflich is the John H. & John M. Kane Distinguished Professor of Law at the University of Kansas and director of the new master’s degree program in Homeland Security Law & Policy at the University of Kansas. He is an expert on cyber law, policy and the integration of the private and public sector. Dr. Hoeflich holds a juris doctor degree from Yale Law School and a Ph.D. from Cambridge University. He has taught at the University of Illinois, Syracuse University, and the University of Kansas and served as dean of the law schools at Syracuse and Kansas. Among his academic interests, ethics has played an important role for nearly four decades. Dr. Hoeflich has published numerous books and articles on the subject. Visit the Command and General Staff College album on Flickr for more photos from the lecture.